Howto connect to Mac OSX Client VPN from iPad. 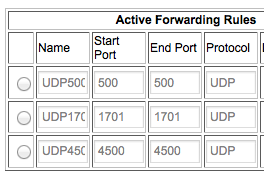 Mac OSX Server has the VPN GUI, but what if you have the client / desktop version of Lion or Snow Leopard. 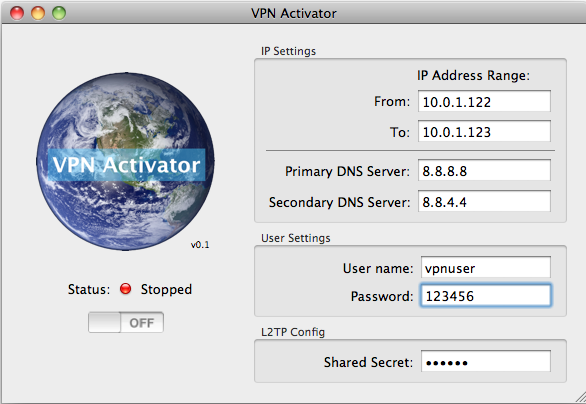 Fortunately, help is at hand, from netputing.com, where there ther is an app called vpn-activator. Download, drop it into the Applications folder, put in some details, and click 'start'. Easy as. Also, if the VPN server has Little Snitch or other local traffic blocker, you'll need to allow RACOON service to connect to the Internet.